Siva is a 12 year old boy. 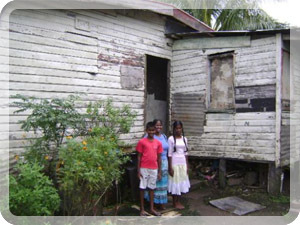 Siva lives with his mother and sister in very impoverished circumstances. His Mum works as a cleaner a few days a week, earning very little. They pay rent for the dwelling they live in and rely on the kindness of others to meet their needs. Siva enjoys attending school and his favourite school subject is maths. When he is not at school he loves to play soccor. Siva travels to school each day by foot. When he grows up, Siva wants to be a teacher. Siva is in class 6 at our school. His mother is a single parent and the only breadwinner in this family. Siva needs financial support. 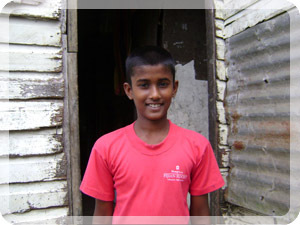 Siva is currently looking for a sponsor to continue schooling. Siva now receives the education every child deserves.